What is an energy efficiency product? An energy efficient product is any type of consumer product (lightbulbs, power strips, etc.) that performs the same function as its non-energy efficient alternative, while saving money through smart energy technology and decisions. While energy efficient items don’t necessarily have special features, they all eliminate inefficient practices in traditional and commonly used household items. Why buy an energy efficiency product? Energy efficient products are designed to reduce your overall energy use, which reduces your energy bill and the amount of money you have to spend. By spending slightly more money up front to buy an energy efficient product, you will see returns accumulate over time as you shave small chunks off of your energy bill each month. Choosing energy efficient devices and products has environmental benefits as well. Because these products reduce your energy use, they also reduce the amount of energy that needs to be generated through the burning of fossil fuels like coal and natural gas. Less energy generation from fossil fuels leads to lower greenhouse gas emissions, which contribute to global climate change and have been proven detrimental to our natural environment. What features are important to keep in mind when buying energy efficiency products? Because energy efficient products are highly variable and span many categories of consumer products, the factors to keep in mind when choosing energy efficient products are numerous. To understand the benefits and drawbacks of individual products, research other items similar to the one you are considering. These are a few points to consider as you shop for energy efficient products. For products like power strips, switches, faucets, and more, hardware features are important for functional and aesthetic reasons. The number of outlets on a power strip, the types of buttons and options on a light switch, and a button (or lack thereof) for different stream types on a faucet are all examples of physical features that can differentiate energy efficient products. If a product is Energy Star certified, it has met strict energy performance standards established by the U.S. Environmental Protection Agency and Department of Energy. Products that are Energy Star compliant are certified by the government to be highly energy efficient. Products without an Energy Star compliant rating can still be reliable, efficient, and of the highest quality, but the Energy Star logo adds an additional reassurance for the products that you purchase. Energy efficiency comes in many forms, and there are opportunities to reduce your energy usage all around your home, with a variety of products. These are some general categories of popular energy efficiency products to help reduce your electric bill and build a smarter, greener home. Traditional incandescent light bulbs have been around for many years, and are not as efficient as more modern options. Most efficient light bulbs use LEDs, which are dramatically better than incandescent bulbs when it comes to energy usage and lifetime. 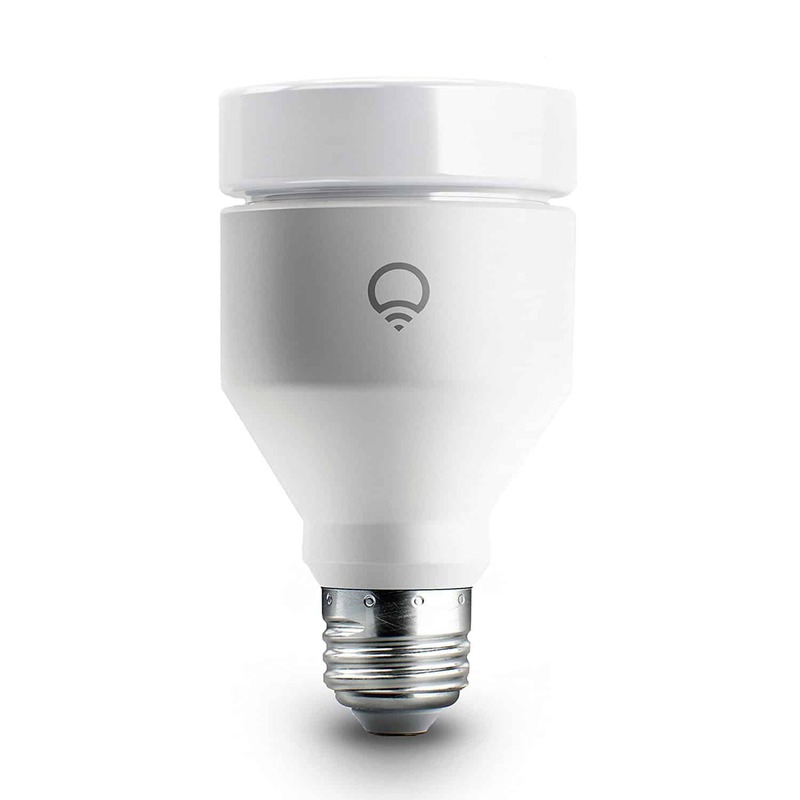 Efficient light bulbs also often have smart home-type features included, such as wireless control and color variability. A huge energy sink – about 10% of average total home energy use – is what are known as “vampire loads”. Simply put, vampire loads refer to the electricity used up by appliances that are not in use. When your TV is off but still plugged in, it is drawing electricity. Same with your phone chargers, gaming systems, and more. The solution? An advanced power strip, or APS. For more information on advanced power strips, check out this infographic by the National Renewable Energy Laboratory (NREL). A common energy loss channel in our homes is our lights - we tend to leave lights on when they don’t need to be on for long periods of time, leading to unneeded energy waste. Smart light switches use a variety of tools - motion sensing, programmable timers, etc. - to help automatically turn off lights around your home and cut down on electricity waste. A low flow shower head saves you money by reducing the amount of water needed during a shower. Low flow shower heads reduce your water bill as well as your utility bill, as less water needs to run through your water heater. The standard flow rate for shower heads is 2.5 gallons of water per minute, and low flow shower heads reduce that water usage to save energy and water. 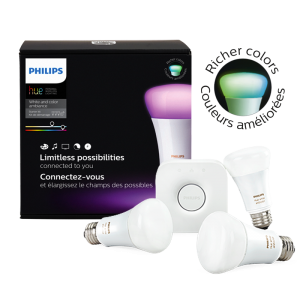 Available in traditional white, customizable white, or colored options, the Philips Hue is a great way to have fine control over your home lighting. The Hue bulbs are also LEDs, meaning they are dramatically more efficient than traditional bulbs. By connecting the included hub to your WiFi router and using the Philips Hue mobile app, you can control your lights from anywhere with internet. You can group lights by room and control them as a unit in the mobile app, and even use pre-set “Scenes” to create a specific atmosphere in your home. The Hue is compatible with just about every smart home hub and speaker out there, allowing full integration of the Hue setup into your existing smart home network. The LIFX A19 bulb boasts 16 million possible color settings, higher brightness than the Philips Hue, and integrations with smart home devices like IFTTT, Samsung SmartThings, Nest, Microsoft Windows, and Amazon Echo. Like the Hue, the A19 is a highly efficient LED bulb. Using the mobile app, you can tweak any aspect imaginable of your LIFX’s color settings, and even use extra effects to make your bulb appear like a candle or a strobe light, among other options. Combining these perks with an LED bulb that only uses 11 watts at full brightness (compared to a traditional incandescent bulbs that uses 60 watts) and lasts 20+ years makes the LIFX A19 a versatile and energy efficient home upgrade. If colorful bulbs aren’t for you and you simply want to replace inefficient incandescent bulbs in your home, look to the Cree 60W Replacement LED. The idea behind the bulb is to replace your typical 60 watt incandescent bulbs with a comparable light in every sense, with one main difference: efficiency. 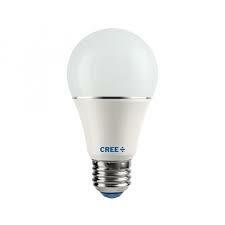 The Cree bulb only uses 9.5 watts. Its design is modern yet subtle, appearing like a typical incandescent bulb from most angles. With a promised lifespan of 25,000 hours, a 10-year warranty, and a low price tag, the Cree Replacement LED is an affordable and polished bulb to help you save energy without sacrificing light output and performance. 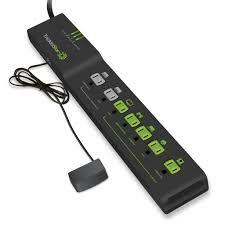 TrickleStar’s 7-Outlet Tier 1 APS is a great introductory power strip option to help reduce your home’s vampire load. It works by using a master control outlet to switch on or off all of its “switched” outlets. For example, if you plug your TV or computer into the control outlet and devices like game consoles, DVD players, and stereos into the switched outlets, whenever your TV is turned off, all of the switched outlets are cut off. This removes electricity flow to and vampire load loss from several associated appliances. TrickleStar’s Tier 1 APS will help you effortlessly save energy, and setup is as simple as plugging in a normal power strip. If you want to take your vampire load prevention a step further than a Tier 1 APS, aptly-named Tier 2 power strips are a next level energy efficiency solution. 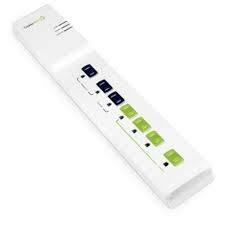 Tier 2 advanced power strips work the same way as Tier 1 strips, with the added benefit of activity monitoring. TrickleStar’s 7-Outlet Tier 2 APS is a high quality and efficient introductory Tier 2 APS. Like the Tier 1 APS, the Tier 2 APS has several switched outlets that are controlled by a master outlet/device. TrickleStar’s Tier 2 APS can also power down the switched outlets through activity monitoring: by using motion sensors to look for user engagement with a system, the power strip can determine if the setup is not in use, and can power down its switched outlets accordingly to avoid wasting any more energy. If you’re looking for even more saving capability from your power strips, TrickleStar’s Tier 2 APS is a reliable option guaranteed to start helping you get rid of vampire loads immediately. Do you (or does anyone in your home) constantly forget to turn lights off? 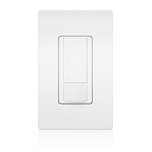 Lutron’s Maestro Sensor switch is the solution for anybody interested in saving energy by simply turning your lights off automatically. Equipped with a motion sensor that can detect fine motion within 900 square feet, this light switch will make sure to keep the lights on when you want them on, and turn them off when you leave. Installation is straightforward for someone with experience in home wiring, but it may be smart to have your electrician do the job for you to avoid mistakes or getting hurt. The Maestro Sensor switch is a simple, low-effort product that solves an everyday energy efficiency problem, and is perfect for anybody looking to effortlessly save money through your home lighting. High Sierra’s Low Flow Shower Head boasts an impressive 1.5 gallons per minute rating, making it one of the most water and energy efficient shower heads available. High Sierra’s shower head doesn’t feel like it uses half the amount of water as a normal shower head – by delivering water through a small spray nozzle at high speeds, it feels just like a regular shower. Its design is also meant to minimize the potential for clogging. 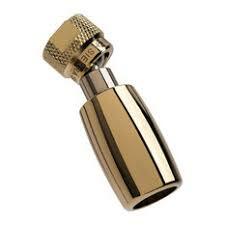 Like many home hardware products, having a professional install your High Sierra shower head may cost more, but will prevent damage to your home water setup during the installation process. The High Sierra Low Flow Shower Head is a top option for water and energy saving options available, and won’t compromise comfort for savings.